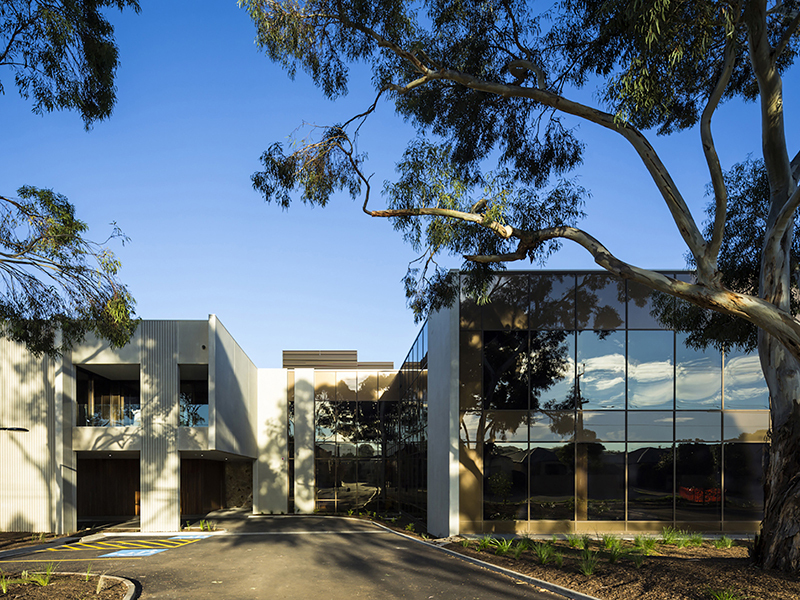 An expanded corporate office facility for Beach Energy totalling 3900m2 was delivered in two stages which included seamlessly integrated base building, fit-out and refurbishment of existing buildings. Architecturally, there was a strong desire to draw upon the existing buildings’ Modernist style to create a building addition that was well-considered and contextually appropriate. The form is bold, uncomplicated and composed of classic Modernist materials – concrete and glass. The Beach Energy interior presents a balanced and refined contemporary palette, evoking a sense of natural materiality. 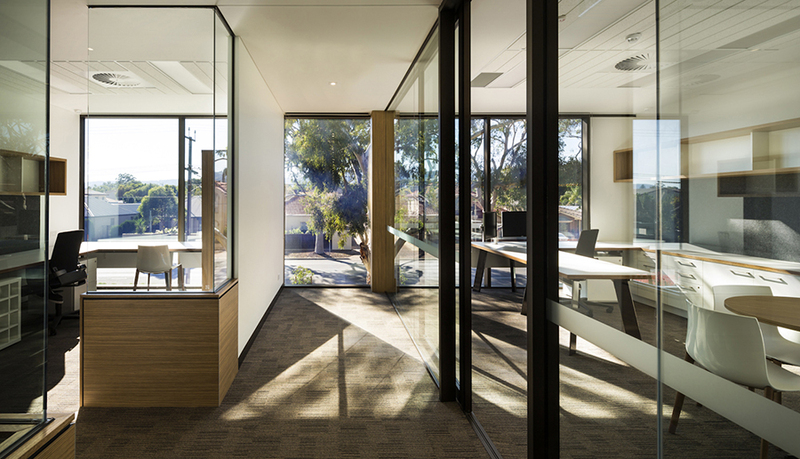 Timber and stone provide a tactile and engaging aesthetic, reflecting the nature of Beach Energy’s mining and resources exploration industry. 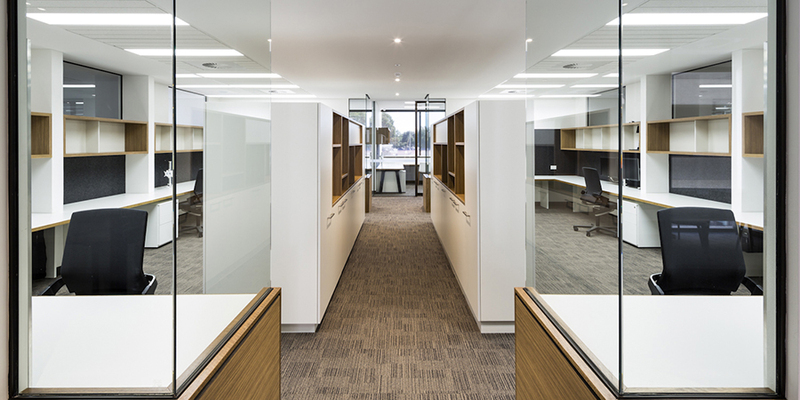 Generous co-located staff areas, offices and breakout spaces increase efficiency and foster creativity, while reception, administration and executive functions present a new and cohesive public identity.